Her melee attacks are combination slash and martial arts attacks from her dual-wielded Bakuzan. 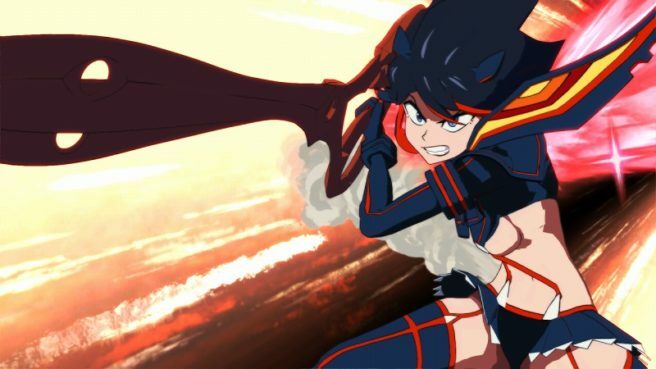 She can freely unleash combo attacks on the ground, in the air, and while dashing. Her long-range attack is a slash attack in which she swings and fires her dual-wielded Bakuzan. Just like her melee attacks, she can combo these on the ground and in the air. Some of her break attacks have a counter ability that can stop the blow of incoming attacks. Rush the opponent with combos as not to let them gain the upper hand. 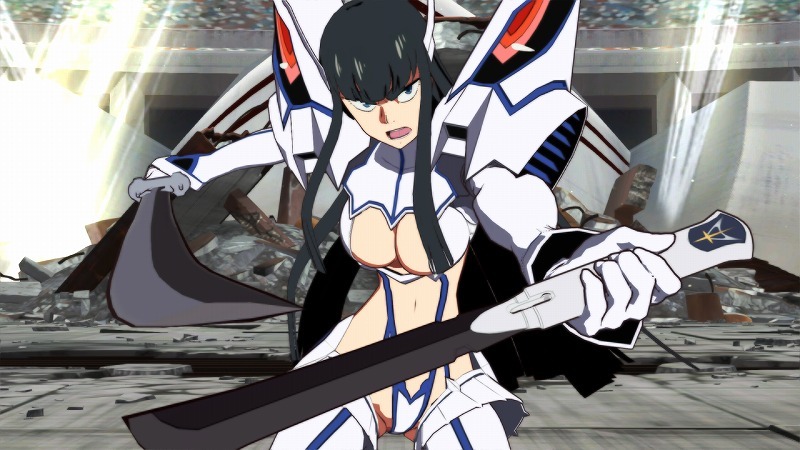 Her special moves offer a different flavor from the normal Satsuki, such as a technique in which she slashes her dual-wielded Bakuzan in the shape of an X, and another that launches the Junketsu outfit’s shoulder pads like missiles.